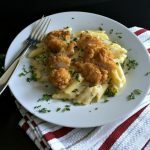 Are you looking for an easy meal idea you can throw together in less than 30 minutes that tickles the tastebuds, pleases even the pickiest of picky eaters and makes clean up afterwards a cinch? That’s the story of my life when it comes to what I choose to make for dinner on most nights. 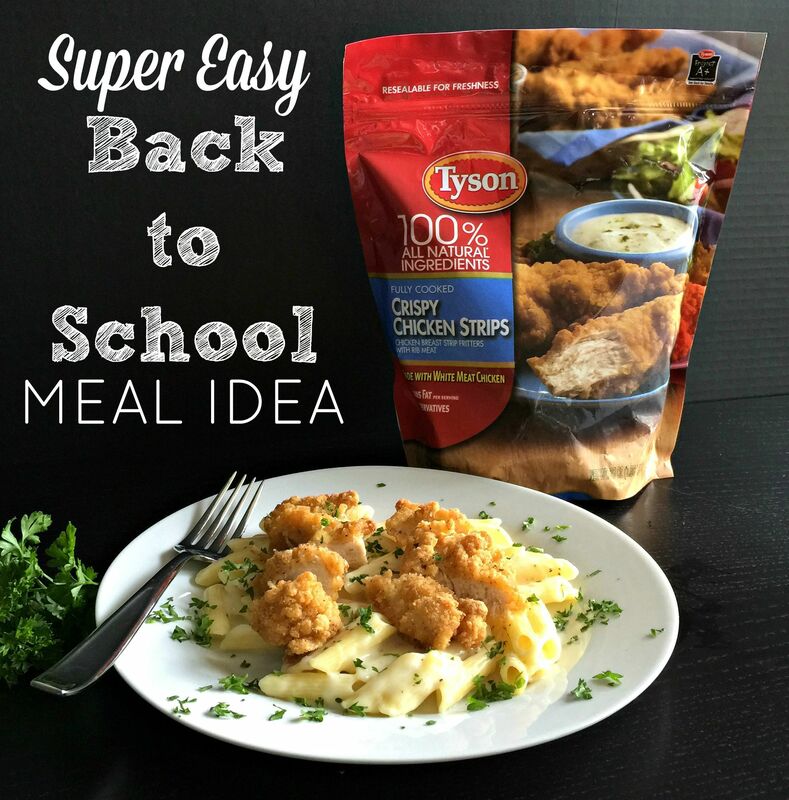 Thanks to the all white meat and 100% natural ingredients of Tyson® Crispy Chicken Strips, I can cut dinner time in half and feel good about what I’m feeding my family. 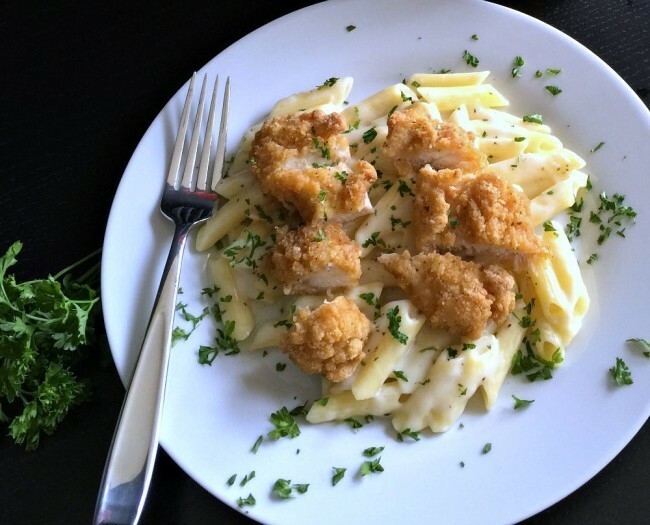 One of my family’s favorite meals is a homemade Alfredo sauce and penne pasta. 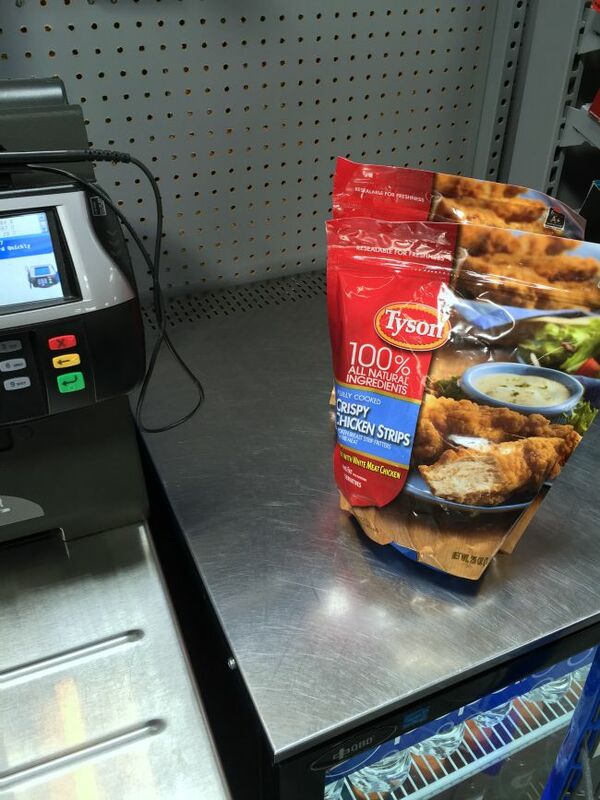 Sometimes we have it meatless, sometimes I’ll add in chicken. This Alfredo penne pasta recipe is a one-pan recipe. 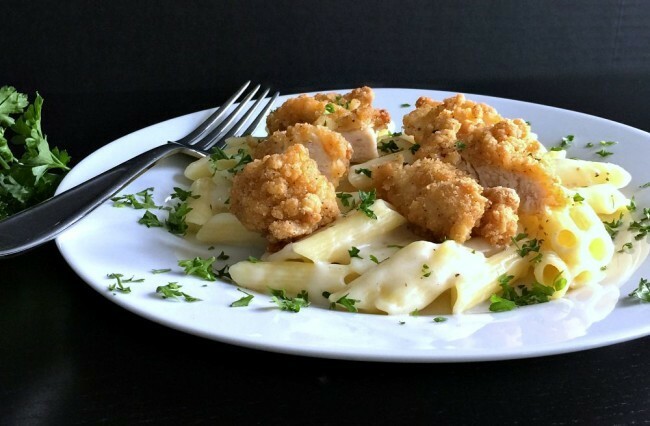 Usually I’ll cook some chicken tenderloins in olive oil and fresh garlic, then add the rest of the alfredo ingredients and the pasta. It cooks for about 15 minutes, all in the same pan, and voila – dinner is done. I was thinking how good it would be to do this same recipe, but with crispy chicken. I love making homemade fried chicken but it’s messy, time consuming and something I like to save for the weekends. But if we want crispy chicken strips on a weeknight, I rely on Tyson®. 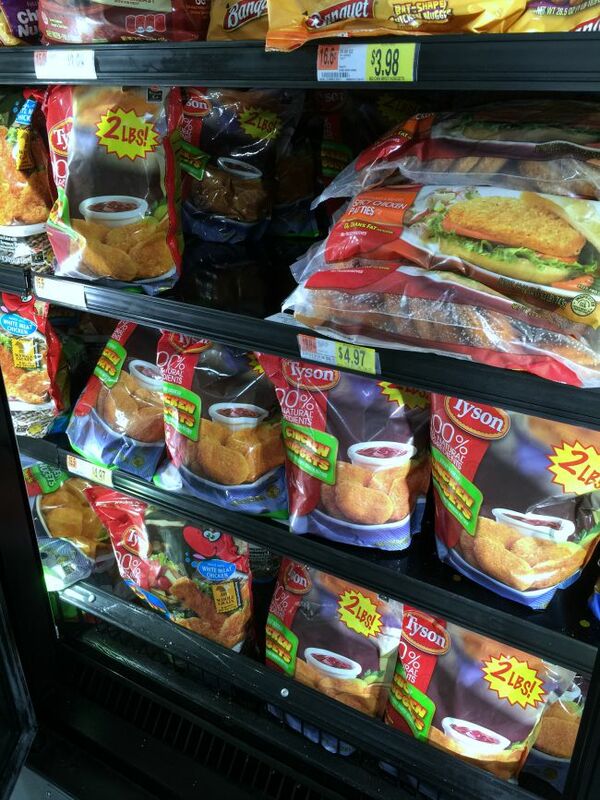 Before I dive into the full recipe, let me share with you a little about an important program Tyson® is involved in. 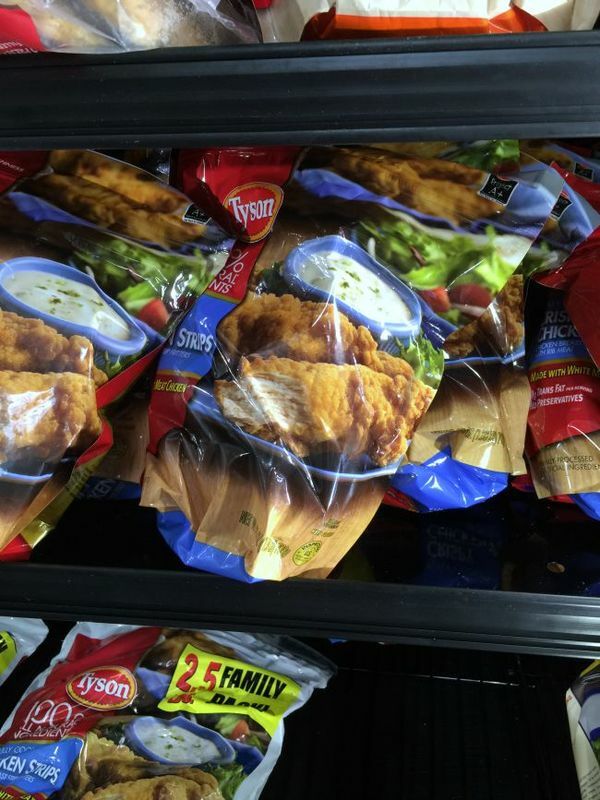 If you’ve picked up a bag of their chicken before, you may have seen a little logo in the corner that says Tyson Project A+™. This program is one of the simplest ways for you to support your school. 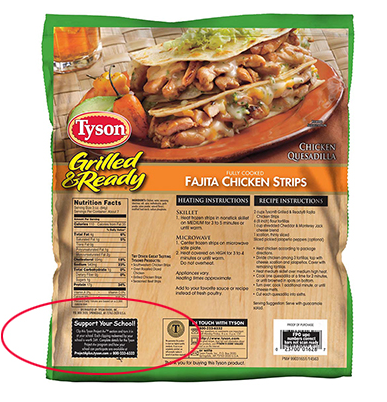 All you have to do is clip and collect the Tyson Project A+™ labels from the back of Tyson® products and for each label you clip, they’ll give your school 24 cents. The school can use the money for whatever it needs! Here’s what the label looks like. Not only does this product have exceptional taste, but it’s convenient and I like helping to support a company that does what it can to support our schools. 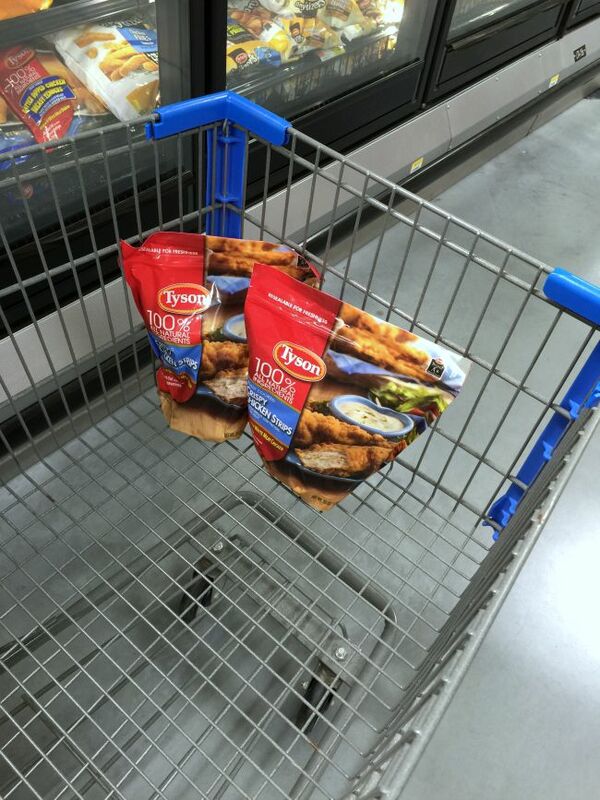 I shopped for my Tyson® Crispy Chicken Strips and all of the ingredients for our meal at our local Walmart. 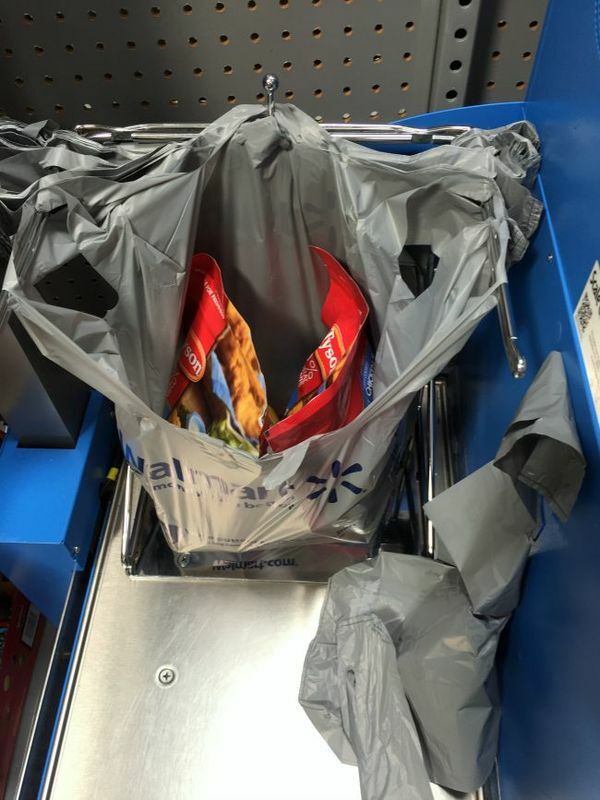 We have a new one I like to shop at for both food and household needs. Alright – now the recipe! See how easy this meal is to make and try it for your family one night. An easy to prepare, fast to make and tasty meal that pleases even the pickiest of eaters. It's on the table in under 30 minutes! 1 to 1 1/2 cups of freshly grated Parmesan cheese or you can use the pre-shredded for ease, just don't use the powder that comes in the cans! 2. Spread the chicken out on a cookie sheet and back for 15 to 20 minutes. I like to turn it once for crispiness. I'll also sometimes turn on the broiler for just a few seconds per side. 3. Heat the Tablespoon of olive oil in a large skillet and add the minced garlic. Cook for about a minute, careful to not burn it. 4. Add the Tablespoon of flour and mix into the oil and garlic. Cook it for an additional minute until it's slightly browned. 5. Slowly whisk in the chicken broth, then the milk, making sure to whisk away any lumps of your flour mixture. 6. Add the penne pasta, stir and bring to a boil. 7. After it comes to a boil, reduce the heat to simmer, cover and cook for 15 to 20 minutes, until pasta is tender. 8. Remove from heat and add the Parmesan cheese and stir. 10. Plate the penne pasta with alfredo sauce, top with the strips of chicken (I cut them into slices) and sprinkle with the chopped parsley.